^ 1.0 1.1 1.2 1.3 Rice, Lynette. It Hurts to Laugh. Entertainment Weekly. December 8, 2006 [March 24, 2009]. （原始内容存档于2012-05-04）. ^ 3.0 3.1 3.2 3.3 Bissell, Tom. A Simple Medium. The New Yorker: 34–41. [February 26, 2011]. （原始内容存档于2011-11-06）. 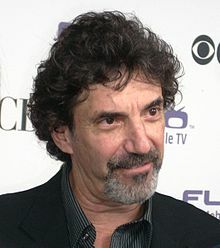 ^ Chuck Lorre. Vanity Card #165. [2008-04-19]. （原始内容存档于2007-10-11）. ^ Chuck Lorre. Vanity Card #243. [2008-05-13]. （原始内容存档于2009-03-23）. 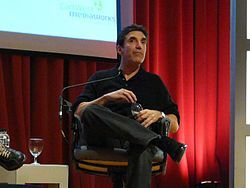 ^ Chuck Lorre. MUSIC - Teenage Mutant Ninja Turtles. [2010-05-19]. （原始内容存档于2011-03-07）. ^ Hinckley, David. Charlie Sheen, Stan Rosenfield cut ties: Long-time publicist quits amid actor's public meltdown. New York Daily News. February 28, 2011 [March 11, 2011]. （原始内容存档于2011-03-03）. ^ Carr, David. Insulting Chuck Lorre, Not Abuse, Gets Sheen Sidelined. The New York Times. February 28, 2011 [March 8, 2011]. （原始内容存档于2011-11-01）.